This is so easy and a great standby for those emergency pudding situations! If you don't have crème fraiche you can use Carnation Extra Thick Cream or Carnation Evaporated Milk. 1. Gently heat the Carnation Carmel with the crème fraîche, stirring until smooth. Turn up the heat a little and cook for 2 minutes, stirring continuously. 2. 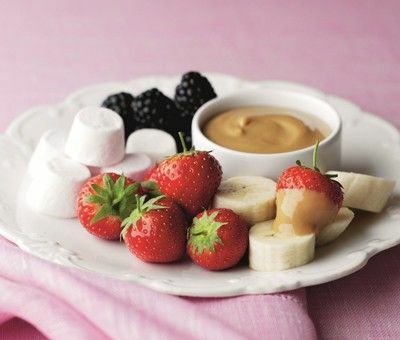 Pour into a heatproof bowl (or individual dishes) and serve warm, with the fruit and marshmallows, for dunking. How long do I boil a tin of condensed milk to make it into Caramel. Hi Lynne, the great news is you don't have to. We've done all the hard work for you in our ready made Carnation Caramel. Look out for it in stores next to the Condensed Milk!